Kizza Besigye was today arrested again, this time even more brutally than the last. Many claim that Museveni has now lost it — this is the kind of brutality not seen since the days of Amin. But back then, such things were whispers in the dark, rumors you hoped weren’t all true. Today they are broadcast far and wide for all to see. But if the state (read: Museveni) appears in disarray, so too does the movement opposing it. Anger, not vision, drives people to the streets. Not one Uganda, one people, but one Besigye who has been brutalized. The campaign is still more anti-Museveni than pro-anything. As Andrew Mwenda says, Uganda is barreling down a highway, facing four exits: Exit Saudi Arabia, where protests go to die, Exit Yemen where stalemate prevails, Exit Egypt with transformative revolution, and Exit Libya, where civil war reigns. The problem is that this bus is unmanned, and traveling at high speeds. Which exit will Uganda take? 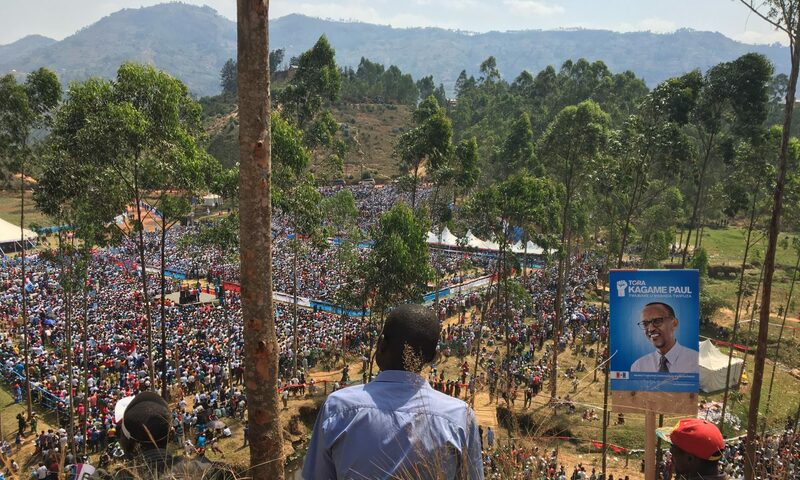 Ordinarily one could try to predict the outcome by the relative organization of either side — Museveni or Besigye/opposition. But disorder and chaos abound on both sides. Thus, the outcome is to a large extent vulnerable to random chance. An accidental gunshot, a careless arrest, a viral video. All these can send the unmanned bus veering off wildly. Who will grab the wheel then? I think we need to be careful that citizen protests in countries north of Africa do not become a blueprint for subsequent protests elsewhere on the continent for we risk missing understanding how these other protests unravel. Also, whereas it might be true that the opposition might not be coherent, such criticism assumes that the opposition is homogeneous. That couldn’t be far from true. We also do not have that many examples on the African continent, or elsewhere, where the opposition has united under one vision where that vision has not been to solely remove a president who had been in office for a very long time (I’m thinking of Kenya.). Do you know where the opposition has united with a common vision that has been different from that? IHEU uppmanar priendest Musevini att le4gga in sitt veto mot Ugandas antihomolagff6rslag.Fre5n IHEU:s webbsida: The International Humanist and Ethical Union (IHEU) has called on Ugandan President Yoweri Museveni not to approve the country’s infamous Anti-Homosexuality Bill should it pass in parliament today, or in the coming weeks. Reports suggest that the Bill is scheduled as an “order of business” and could be voted on at any time. Blimey.For a UK-published novel aimed at a similar rinaedg age to slightly older, and about a similar range of African subjects (with the vilence only threatened rather than carried out), there is Torn Pages by Sally Grindley.Elaine, I agree with your comment, although I have no idea how that might be done. Next PostNext Why has Besigye gone to Nairobi?